Army has revealed the reason for its unexpected action. 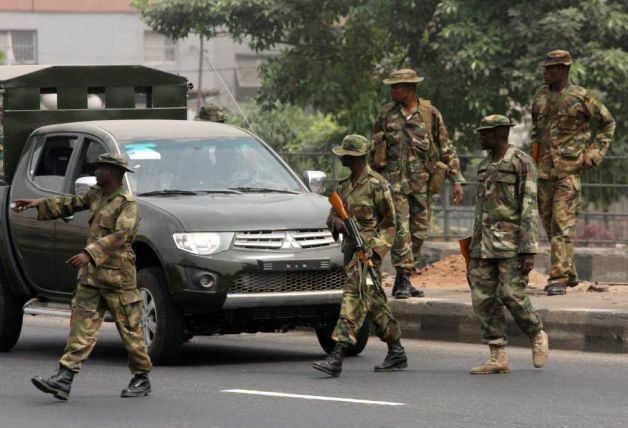 The military authorities had deployed troops to the three arms zone area of the federal capital territory, around the National Assembly Complex, presidential villa as well as law courts. prevent an invasion by members of Islamic Movement in Nigeria (IMN). On Thursday, there was an unusual number of soldiers in the zone. In a statement, HT Tagwai, assistant director of army public relations, said contrary to reports that the army “were trying to take over the national assembly”, the troops were deployed to prevent a breakdown of law and order. He said it was learnt that IMN members better known as Shiites were planning to invade the area, in protest of the continued detention of Ibrahim Elzakzaky, their leader. The statement further read: “As part of the routine responsibilities of the Brigade,troops were deployed at the Three Arm Zone of the Federal Capital Territory based on an intelligence report of an invasion by the Islamic Movement of Nigeria (aka Shiite) to force their way into the Zone. Hence, Troops were deployed to forestall any breach of peace and security.